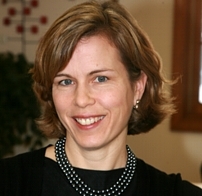 Christine holds a BA in Economics from Mount Holyoke College (1990) and a MS in Accounting from the University of Massachusetts, Amherst (1995). She is a CPA. Christine worked in the High Tech Practice in the Boston office of Arthur Andersen from 1995-1999. She was Corporate Controller for several high-tech start-up companies in the Boston area from 1999-2003. Christine is a Chartered Financial Analyst (CFA) charterholder. The CFA charter is recognized within the global investment community as the definitive standard for measuring competence and integrity in the fields of portfolio management and investment analysis. Elizabeth holds a BA in Psychology from Harvard College (1989) and a JD from Duke Law School (1994). She is a member of the Vermont, Virginia, and District of Columbia Bars. 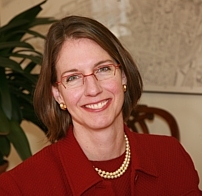 After completing a post-graduate judicial clerkship and a fellowship, Elizabeth worked as a corporate litigator for Williams & Connolly in Washington D.C. from 1997-1999. She then served as the senior clerk for a United States Court of Appeals judge from 1999 until the spring of 2005. Elizabeth is a Certified Financial Planner (CFP)™. CFP® certification is recognized as financial planning's highest credential, demonstrating professional competency and an agreement to act in accordance with the highest ethical and professional standards.